Its rich content pillars also include the Weekend Roundup, a weekly website feature and email newsletter of the top things to do in the key markets of Los Angeles, Orange County and San Diego. SoCalPulse.com is the newest brand brought to you by Southern California Media Group: the team behind WHERE Magazine and Performances Magazine, Southern California’s leading arts magazine. 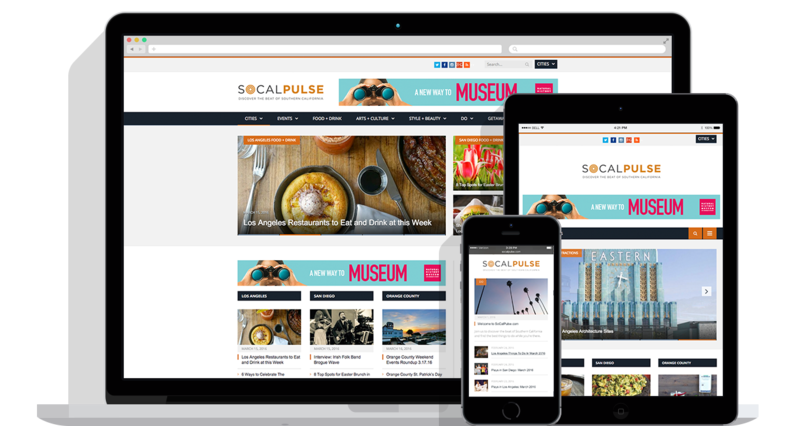 Visitors and locals rely on and are loyal to SoCalPulse.com, WHERE Magazine and Performances Magazine for essential, timely and accurate information about shopping, dining, entertainment, attractions and the arts.